It's always good fun when you're given a blank sheet of paper and allowed a bit of free expression! 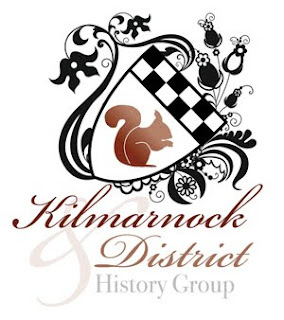 Well as part of a wee project we're doing for The Kilmarnock and District History Group they asked us if we could start with a bit of branding. The project's going to be broken into a couple of phases with the group needing to first of all get their on-line communications in place using social media and then in the longer term looking to working collaboratively with other bodies to create both written and visual on-line archives of all things Kilmarnock. The phase one website is due to go live on the 7th of August, The Facebook pages have been set up and the group are testing their blog pages as we speak.